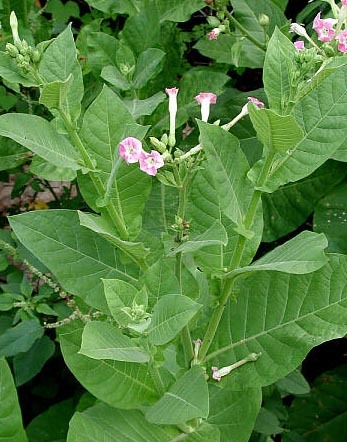 Medicinal uses: This plant is no longer used for medicinal purposes due to its nicotine content. The dried leaves can be used as an insecticide though it should not be applied externally as nicotine can be absorbed through the skin. Cautions: Tobacco should not be taken in any form (Chevallier 239).